『도은선생집』은 여말(麗末) 삼은(三隱)의 한 사람인 도은(陶隱) 이숭인(李崇仁)의 시문집으로 태종의 명에 의해 변계량(卞季良)이 편집하고 권근(權近)이 서문을 지어 시집(詩集) 3권, 문집(文集) 2권으로 간행한 것이다. 이 책은 조선초기 목판본으로 계선(界線)이 없고 본문의 첩차(疊字)의 경우에는 중복표시를 하고 한자(漢字)를 쓰지 않는 등의 고려 기풍이 남아 있다. 이 책과 동일한 판본이 희귀하며, 조선조 왕명에 따라 간행된 첫 번째 문집이란 점에서 조선시대 문집간행의 흐름을 연구하는데 중요한 자료가 된다. 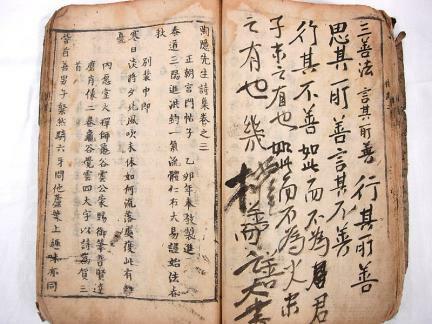 These collected works, commissioned by King Taejong of the Joseon Dynasty, include anthologies of the poems and writings of Yi Sung-in (penname: Doeun), one of the three prominent Confucian scholars of the late Goryeo Dynasty, all of whom used pennames containing the character ‘eun’ (隱). They were compiled by Byeon Gye-ryang, and contain prefaces written by Gwon Geun. Three collections of Doeun’s poems and two collections of his works were published altogether. 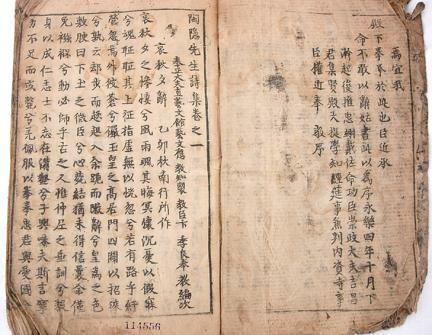 Although the books were printed from wood-printing blocks in the early Joseon Dynasty, they still preserved the styles of the Goryeo Dynasty in that there are no boundary lines between the columns on the pages, and words with duplicate Chinese characters are marked instead of writing the same Chinese character twice. The books are of considerable historical value as printed versions of the same work are generally very rare and because they were the first publications of literary works to be commissioned by a king of the Joseon Dynasty. As such, they are a valuable resource for the study of changes and developments in literary publications during the Joseon Dynasty.